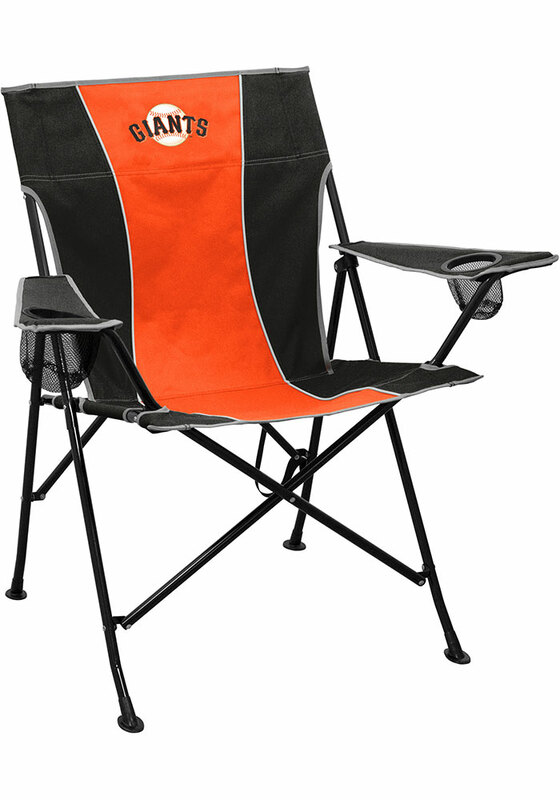 Take your Giants spirit with you to the next tailgate with this San Francisco Giants Pregame Canvas Chair. This Canvas Chair features a San Francisco Giants logo. Pull up a seat and discover the comfort of the Pregame Chair. Features adjustable armrests with mesh cup holders in each arm, one of which is large enough to fit your favorite tumbler. Collapses to fit in the matching carry bag with shoulder strap. Go Giants!